And we didn’t just stop there. 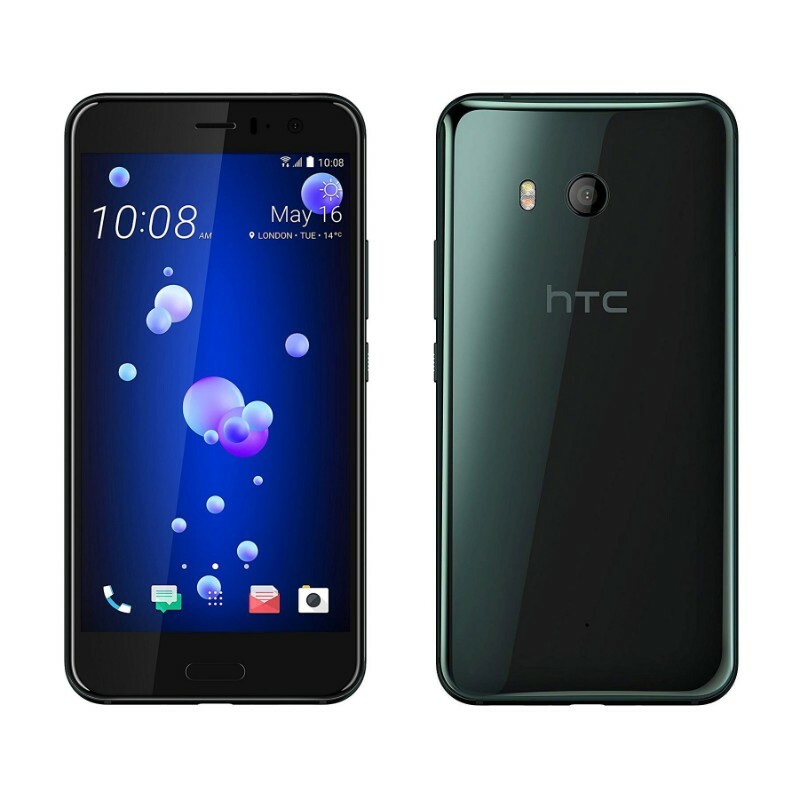 With a stunning 3D liquid glass surface, the highest DxOMark ever awarded to a smartphone camera with our new UltraSpeed Autofocus, the purest audio you can find with active noise cancellation, all wrapped in a beautiful water resistant package, HTC U11 sets a new standard of what you can expect from a smartphone. The liquid glass surface is crafted to impress using Optical Spectrum Hybrid Deposition. By randomly layering highly-refractive precious minerals across the phone’s back cover, we’ve created stunningly vivid new colors that transforms light with every movement you make. HTC U11's water resistance coupled with the remarkably useful Edge Sense technology lets you actually take photos underwater ! 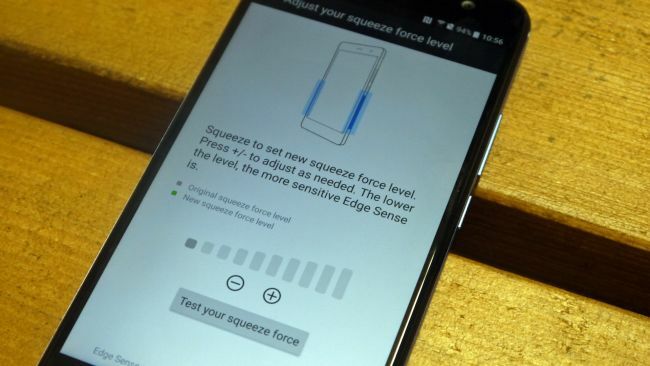 Even though the water won’t allow you to use your screen, Edge Sense makes it possible to snap all you like with an effortless squeeze. Using four optimally positioned omni-directional microphones together with our new 360 Real-life Recording technology, HTC brings you our best 3D audio recording quality yet. 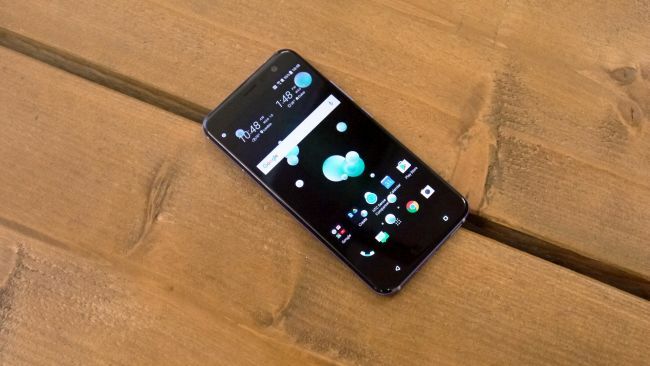 The HTC U11's microphones work together to record audio from all directions and with 360 Real-life Recording, you can zoom in on the video to target your subject and amplify their specific sounds. 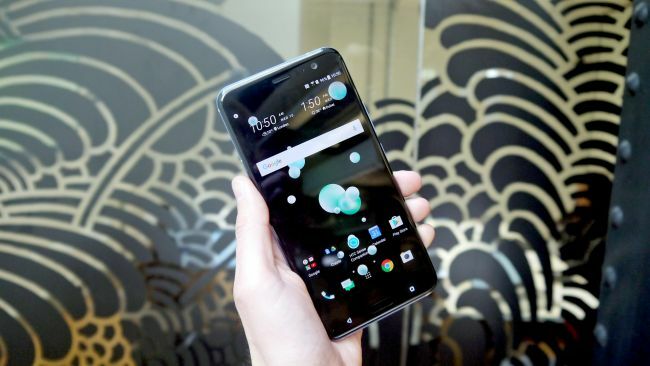 HTC U11 packs a punch with the newest Qualcomm 835 Snapdragon with the first 10 nanometer mobile processor. This translates to a blazing fast and impressively smooth performance, our fastest processing speed, and the benefit of a longer battery life. You also get 25% faster graphics than the HTC 10, with 35% or 3 hours more video playback, 30% or 8 hours more music playback and 43% or 3.5 hours longer web browsing time via LTE network. 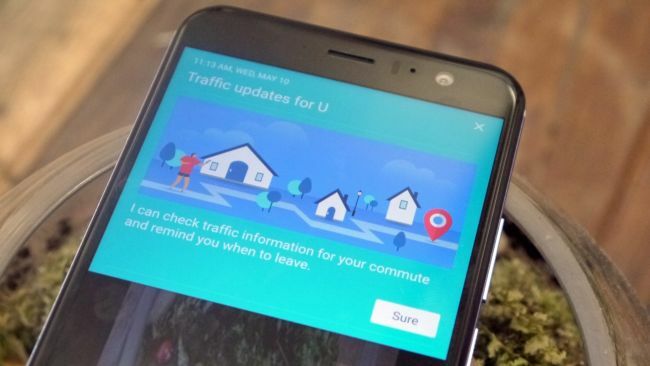 Every HTC U11 comes with this same performance no matter where you are in the world. We discovered some of nature’s best-kept secrets and developed a color palette just as vibrant and dynamic. With every turn and tilt, the color transforms and shimmers with luminous hues. Take a closer look at every angle, and choose the color that inspires the brilliance in you. It’s not hard to guess what’s going on with the HTC U11 when it comes to the spec list - it’s the best of everything. Let’s get started: there’s a Qualcomm Snapdragon 835 chipset running the beating heart of this phone, and that will be available worldwide. 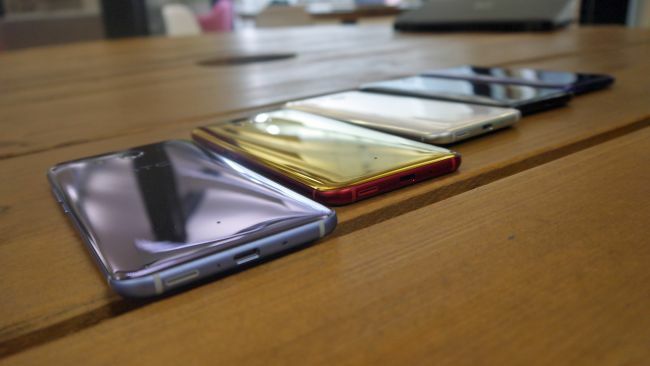 However, some regions will be getting 4GB RAM and 64GB storage in their devices, where some will be able to purchase 4GB RAM and 64GB of space to throw their files. This is a pretty standard practice for most manufacturers these days, as they seek to impress the spec-hungry Asian markets while still making the phone affordable enough in places where there isn’t such a clamor for power. 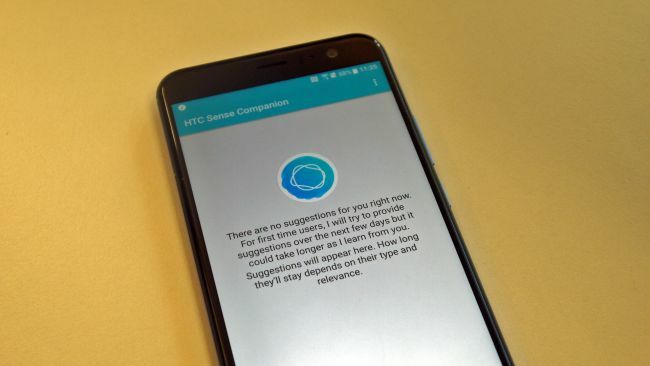 HTC is using Android 7.1 Nougat for the U11, with Google Assistant baked right into the mix, with a microSD card slot that can be repurposed to use a second SIM card if you want to get all fancy and multi-carded. There’s no dual camera on the back of the HTC U11, instead offering a 12MP sensor on the rear and 16MP option for the front. 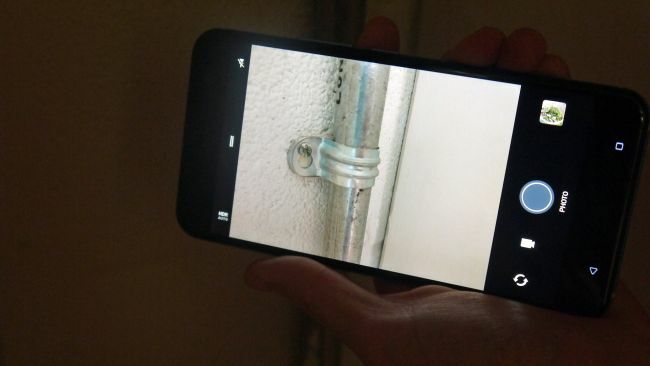 In terms of what HTC has done to the camera this year, it's slightly hard to make that out. That hasn't stopped it being awarded the best DxOMark score ever achieved by a smartphone (90) but we've seen before that those numbers don't always lead to excellent real-world usage. It has added in HDR Boost, which looks a lot like the HDR+ mode we saw on the Google Pixel phone last year… which, coincidentally, HTC also manufactured. It’s got an f/1.7 aperture on the rear camera for decent low-light performance, and you’re able to shoot in RAW to get a more professional snap if you want to manipulate the images. The autofocus speed has been dropped to 0.3 seconds, similar to some of the best smartphone cameras around, so your chances of taking a sharp photo have been upgraded. The front-facing camera offers the chance to take a panorama selfie, letting you pull in more pals to the picture if you’re so inclined, and has a 150-degree lens to take more of the scene in. 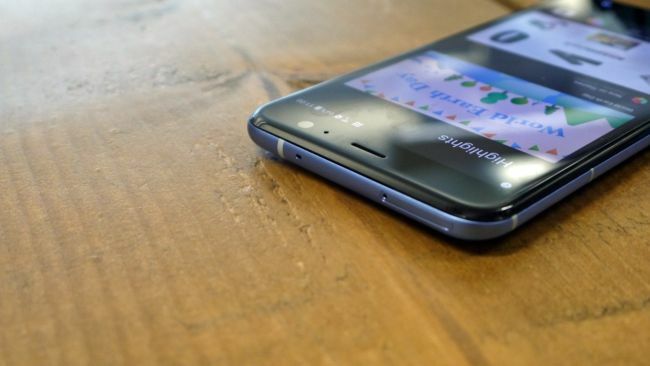 The HTC U11 has a 3000mAh power pack running things beneath the surface, which is the same as the Samsung Galaxy S8 but a little lower than the LG G6. 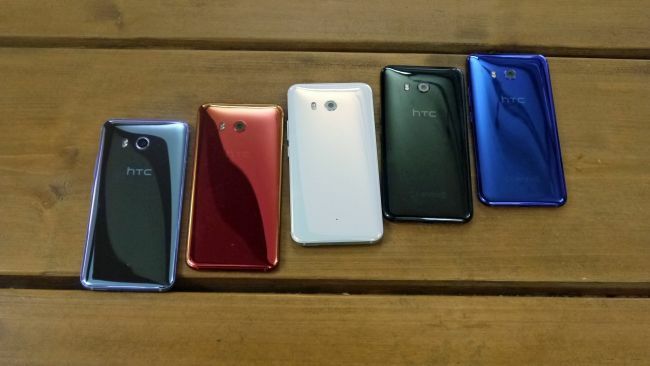 Combined with the Snapdragon 835 chipset, it should be able to pull through a day - but this has never been a strong point of the HTC range, so we wouldn’t hold out a huge amount of hope on that front. 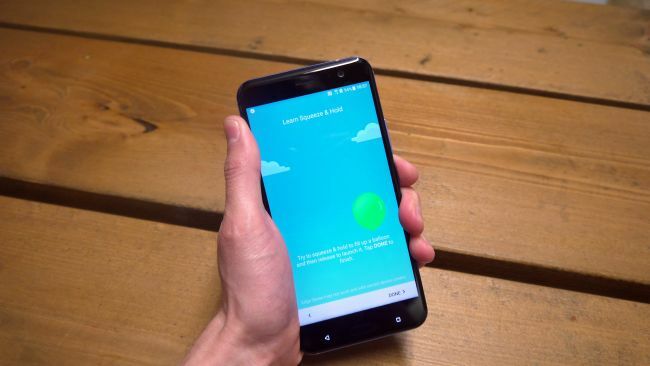 hat said, the HTC Boost+ app does do an OK job at keeping things under control in terms of power management, and with the Android Nougat OS on board the HTC U11 might actually surprise in terms of battery life… but we’re not expecting great things. Audio is the most fully-featured part of the HTC U11, starting with what’s in the box. 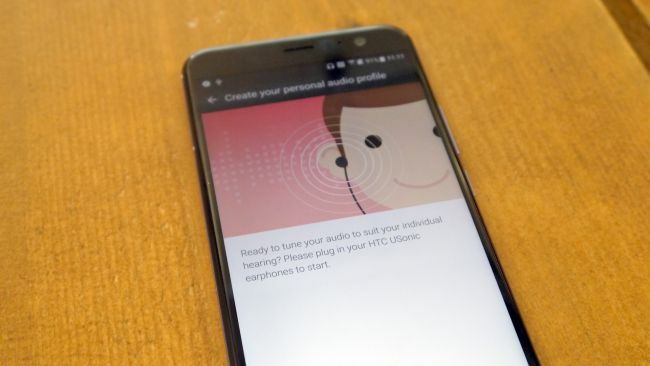 You’re getting the upgraded HTC U Sonic headphones, which can work out your perfect sound profile by beaming sound into your ear and mapping your ear canal. 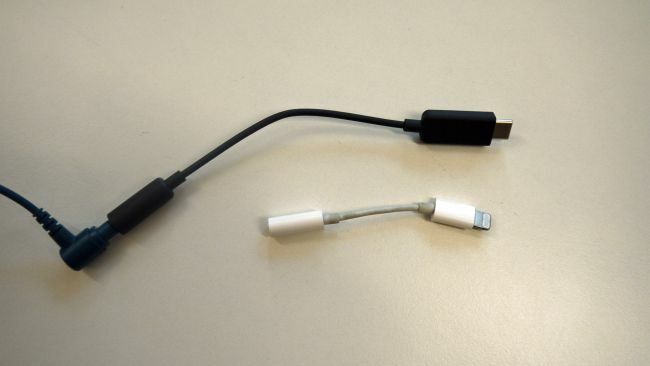 We’re still not entirely convinced on how that works, but the results have previously been good… so we’ll go with it. 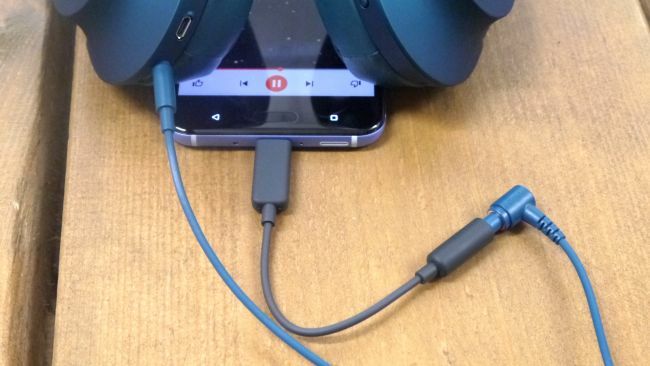 However, this time around the U Sonic headphones have been upgraded to include active noise cancelling, meaning they’ll likely be the very best buds you’ll get bundled with any phone anywhere. Some might be upset that they’re losing the headphone jack on the U11, but to offset that you’ll get a DAC in the box to plug in your current cans, giving you an easy connection and improved sound as a result. 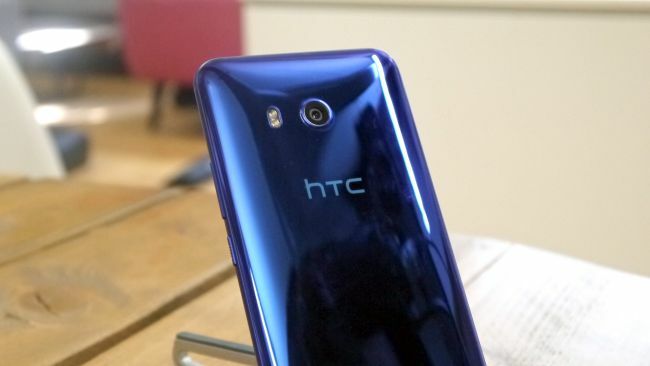 The HTC U11 is Hi-Res Audio certified, so the sound pumping out of high-end files will sound great, and there’s Boomsound on board as well, firing the sound out of the earpiece and the single speaker on the bottom of the phone if you don’t want to plug in headphones. Ultimately, if you want a handset that’s got arguably the strongest audio line up out there, HTC seems to be offering it with the U11. 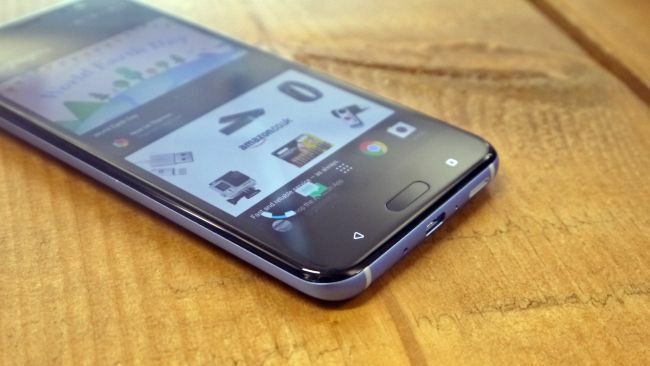 HTC U11 is a fantastic smartphone for multitasking as well as entertainment. 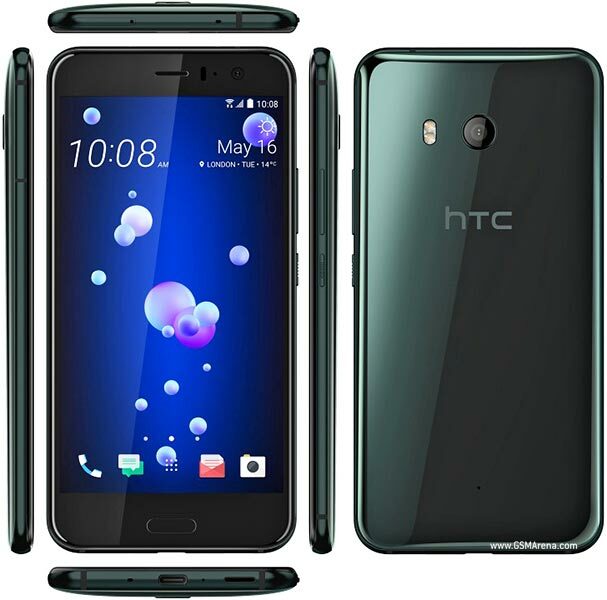 Get this HTC smartphone from Souq.com. The HTC U11 Single SIM gives you a seamless performance in state of the art design. It is powered by a Qualcomm Snapdragon 835, Octa Core processor that enhances your productivity and provides a smooth entertainment experience. It has a 5.5inch display that offers top notch visuals for movies and games. The HTC U11 supports 4G LTE network and lets you access the fastest bandwidths for a smooth browsing experience. This smartphone features a 64GB internal storage and 4GB RAM for convenient use. Click stunning pictures with its 12MP rear camera and glamorous selfies with the 16MP front camera. This HTC smartphone operates on Android 7.1 OS with HTC senses and gives a user friendly experience. Crafted using the Optical Spectrum Hybrid Deposition, the liquid glass surface is layered with highly refractive precious minerals, and that transforms light in correspondence to every movement of yours. 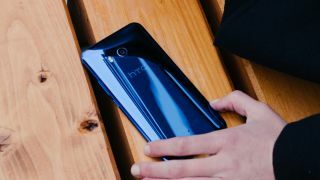 The unique all around tri axis symmetry gives you a slim hold on the HTC U11 no matter how you hold it. The Edge Sense enables you to click photos, launch apps, and text on the go with just a squeeze. Configure Edge Sense of your HTC smartphone and make the most of all the apps with voice assistance from Google Assistant and Amazon Alexa. Carrying the DxOMark score of 90, the 12MP rear camera of the HTC U11 is the certainly the best in the market. The multi axis optical and electronic stabilization system with a super fast autofocus enable you to capture crisp pictures and shoot sharp videos. The 16MP front camera of this HTC smartphone combines high resolution detail with the UltraPixel light sensitivity to give you stunning selfies, be it day or night. A Qualcomm Snapdragon 835 Octa Core processor drives this HTC smartphone and offers astonishing speed, mind bending graphics, impressively smooth performance and longer battery life. Experience 25 percent faster graphics than the HTC 10 and enjoy 3 hours more of video playback, 8 hours more of music playback and 3.5 hours more longer web browsing time via LTE network.